2017 pulled the curtain back on how far we still have to go in the US to embrace gender and ethnic diversity in the workplace. At the same time, there is a growing mountain of evidence that teams composed of diverse individuals outperform homogenous teams by wide margins across multiple spheres of human endeavor, including business. Furthermore, a McKinsey & Company study estimates that advancing women’s equality alone could add $12 trillion to global GDP by 2025. 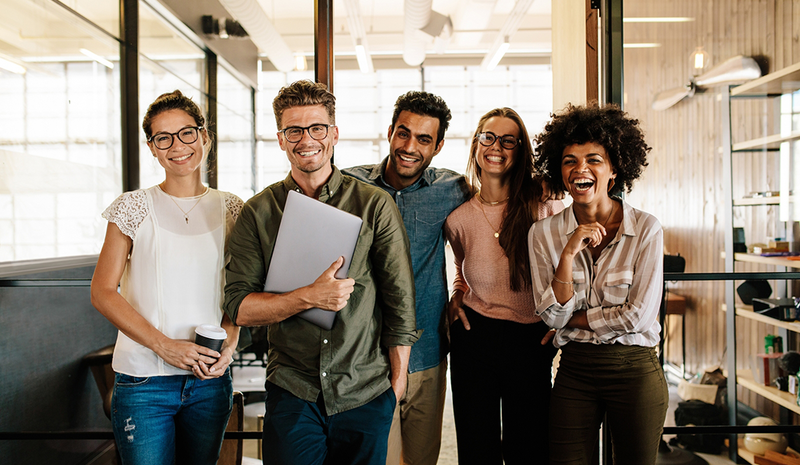 To those who want to create and lead the high-performing companies of the future, it is fair to say that putting together a diverse workforce can give you a competitive advantage. With that in mind, 60 percent percent of Fortune 500 companies now have chief diversity officers (CDOs) — that is, senior HR leaders focused on diversity and inclusion. Trying to manage diversity through HR is a way to acknowledge the problem, but real change has to come from the senior leadership team, which influences the behavior of the whole company — more than they might realize. For example, research shows that companies with women on their boards of directors are more likely to hire women executives. It is safe to assume that companies with more women executives hire more women managers, and that companies with more diverse groups of people on their boards hire more diverse groups of executives, and so on down the line. This is not surprising. People almost unknowingly like to hire people who look, talk, and think like themselves. It’s human nature. However, cultures don’t change until you have diversity in the room, nor do they change without the support of the senior team. If you want a diverse workforce, you have to be deliberate and intentional about creating it — from the very top down. The risk of hiring a CDO and turning diversity into a role is that it can become a way of parking diversity to the side rather than integrating it into the fabric of the company. Leadership goes about its business, feeling comfortable that the diversity and inclusion box is checked. Diversity becomes something to talk about, a remedial program where people are labeled as “diverse.” I’d love to lose that idea. Hiring the best people for your company is paramount in this equation. Once you start hiring people specifically because they are “diverse,” your program is dead. First, this is itself a form of discrimination. Second, this practice leads to big problems with the other half of the equation: inclusion. Bringing someone in as a “diversity hire” puts inclusion at risk from the get-go. No company today can afford to hire people who are not exceptional. It is the idea that exceptional people all look and talk a certain way that has to change. Companies collectively must open their minds to those people who are exceptional but look, think, and act differently. If CDOs can accomplish that at the board and C-level, the impact could reverberate throughout the entire company. CDOs could also help leadership get comfortable with being uncomfortable. 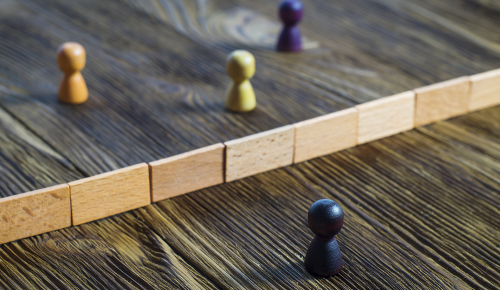 When your workforce includes people who come from a wide range of backgrounds and experiences, it can mean more discussion and debate are needed to reach understandings. This can take more time, and you have to work harder to reach alignment in the short term, but the outcomes are more than worthwhile in the long term. When your team contains people who think differently, you get more ideas on the table. You get different approaches. You get a better answer. Something else very positive also starts to happen: As people come to understand that they’re not going to be judged by how they look but on the results of their efforts, they become enthusiastic about their workplace. This leads to a more positive culture for everyone. On the other hand, the workplace vibe is very different when you have one dominant group. In sociology, a dominant group is defined as “a social group that controls the value system and rewards in a particular society.” The dominant group has more power and influence, and that affects the culture of the entire organization. I distinctly remember two classes during my time at Harvard Business School. I was in one class that had 22 percent women and another with about 35 percent women. This may not sound like much of a difference, but these classes had very different social norms. The class with the better balance of men and women had more discussion from all corners of the room, with more participation from women and also from men who were usually quiet. The room was less constrained by the dominance of one group, which gave the environment a different feel and led to much richer discussion. Until you get enough diversity to neutralize the dominance of any one group, there will always be a tendency for the whole organization to adhere to the behaviors and value system of the dominant group. What we need is enough diversity at the highest organizational levels so that there is no dominant group. Then, the environment changes, a broader range of candidates is considered all the way down the line, and inclusion is much less of a challenge. Businesses change all the time to achieve better results or avoid negative consequences. Given that teams of diverse individuals outperform homogenous teams by wide margins, companies that fail to adapt to this reality will start falling behind their competitors. Adding a CDO can be a step toward more positive outcomes, but it likely won’t lead to better results unless the CDO can help achieve diversity at the top. It is time for company leaders to evaluate their workforces, question their hiring practices, and pay more careful attention to the dynamics of how people interact with the company. Who is listened to? Whose ideas get the most airtime? Who gets included and excluded? Who wins the awards and accolades? Who is being mentored or promoted? Karla Friede is CEO, cofounder, and member of the board of directors at Nvoicepay. Karla Friede is chief executive officer, cofounder, and member of the board of directors at Nvoicepay. She has 20 years of experience in management, finance, and marketing roles in both large and early stage companies. Along with the founding team, she has grown Nvoicepay into a leading B2B payment network.